The latest Cincinnati skyline painting in progress. 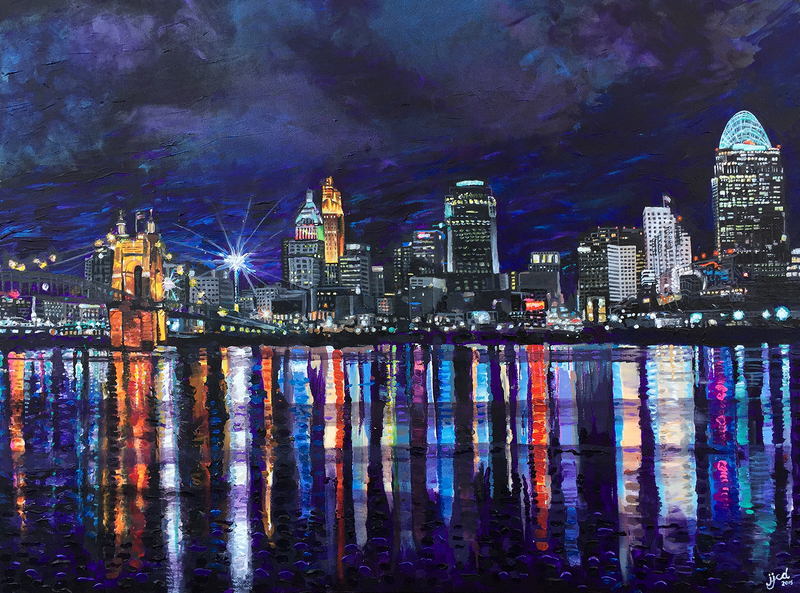 This painting titled Cincinnati in December is a 30″ x 40″ acrylic on canvas painting by Jeff Johns and Colin Daugherty, JJCDcollaborations. This piece is actually a commission, and had a great time kicking off the piece by meeting the client down by the river in Covington, Kentucky to capture the perfect reference image to help bring her idea of this painting to life. Stay tuned for the progress on this vivid Cincinnati Skyline painting.